Manufactured in 1939 and 1940, this model was functionally identical to the type 148, but you can distinguish between the two by the presence of a black leather trim on top plate below the rewind knob, which is found only on type 149 cameras. The type 148 had a chrome trim in that position. 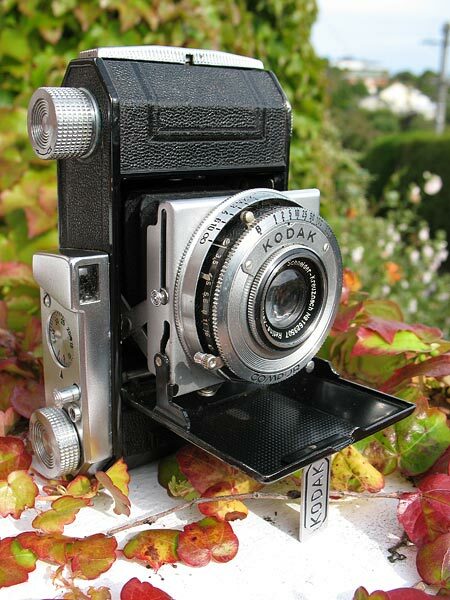 All type 149 cameras had black-painted edges, unlike the type 148, where all but late production had polished edges instead. Lens and shutter choice on this model was limited to a Retina-Xenar f/3.5 5cm in a Compur shutter. When looking for instructions for this model, keep in mind that it is almost identical in function to the post-war type 010 cameras. Retina I type 010 instruction manual on Mike Butkus' excellent website.